One of the great problems for those who believe that the universe came into existence by itself is that the universe does not present itself in such a manner. For example, the complexity of the observable universe fits better with the idea that it has been specially created ex nihilo.2 The ‘first cause’ problem is one of the great stumbling blocks for evolutionary cosmology. For example, consider the following logically valid argument. In short, if the universe had a beginning, then it must have had a cause. The so-called ‘Anthropic Principle’ derives from the observation that many aspects of the universe give at least the appearance of having been designed specifically for human life. There are an abundance of design features that sit uncomfortably for those who believe that we exist as a result of some giant cosmic lottery. So it is often claimed that there must be a myriad of other universes, with different features, even different laws of physics. And in our own universe the cosmic dice just happened to fall in such a way that the laws were those that would allow humans to evolve. Which is why we are here in the first place to ask such ‘anthropic’ questions. In other words, we are not here by design, it just looks that way, perhaps due to ‘evolution by natural selection’ among various (unobserved) universes. Even though the big bang is passionately held to by some advocates of design, it also is used to attempt to avoid a Designer. The theory claims that all the matter, space and energy of the entire universe pre-existed in a particle no bigger than the head of a pin. Then, for no reason, it suddenly expanded, and the energy became matter that formed galaxies, stars and ultimately people. Attempts to prop up this theory in the face of increasing problems have led to many weird hypotheses invoking mysterious unseen forces known as ‘dark matter’ and ‘dark energy’ to basically hold the universe together or to push it apart.5 All of these speculations attempt to avoid the obvious spiritual implications of design (Colossians 1:16–17). Many today propose that other universes may exist in parallel with our own. Some believe that aliens may exist in these other universe(s) and have harnessed the technology to flit between their own dimension and ours, and that this could account for the myriad of UFO sightings and alien encounters over the years. 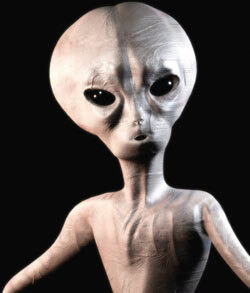 But see Gary Bates’s classic Alien Intrusion: UFOs and the Evolution Connection. One should consider that many of these ‘cosmic convolutions’ lack experimental support and are speculative ideas dressed in convoluted mathematics. One such idea is string theory. Although highly controversial, it has been gaining in popularity, and research is well-funded, particularly by those trying to prop up big bang ideology. See the box for a brief explanation of string theory. Although the box may not seem like it, it is a ‘string theory for dummies’ type of explanation. But don’t worry if you can’t understand it. No one really does, as we will see. And there is not a single shred of experimental evidence to support the claims. String theory is presently completely unobservable and untestable. However, its advocates would also claim that it is not falsifiable, and therefore, it might be correct. This is the nature of such ‘elegant’ theories. One not infrequently hears similar claims about evolution in general. One of the reasons that many are excited about the potential of string theory is that they hope it might evolve to become the elusive ‘theory of everything’—the holy grail that has eluded physicists for decades. The fundamental forces that govern our universe are gravity, electromagnetism, and the strong and weak nuclear forces (that hold atoms together). String theory is an attempt to unify these forces into one mathematical theory, an attempt that many physicists now believe to be impossible anyway. Like the expression ‘the big bang’, string theory is becoming part of the common language of cosmology, and sadly, many professing evangelical Christians, like the old-earth creationist Dr Hugh Ross, have jumped onto the string theory bandwagon.7 Some, always eager to find a way of not appearing too ‘out of kilter’ with the secular scientific community, propose that the other dimensions invoked by string theory could be the ‘other’ spiritual dimensions mentioned in Scripture. Of course, it is reasonable to assume that there is another realm or dimension in which angels and/or God may exist, and Paul spoke about a ‘third heaven’ (2 Corinthians 12:2).8 These may be compartments or areas of a spiritual realm or dimension, though not necessarily extra dimensions in themselves.9 The Bible does not speak about other dimensions specifically, and speculating on such matters in too much detail can lead to positions bordering on the heretical.10 This is one of the problems of taking the currently popular views of secular evolutionary scientists and trying to adapt them to Scripture. 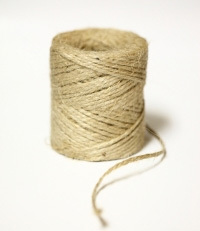 Evolutionary ideas like string theory start from a worldview framework that there is no God. Therefore it is dangerous practice to intermarry secular guesswork with the Bible. For example, like the big bang, there are many versions of string theory. So which one should we hang our theology on? If the secular theory changes tomorrow, do we then revise our theology? Finally, when the Bible cannot be twisted sufficiently to incorporate man-made ideologies that we assume to be correct, what happens to one’s faith? It’s a much more reliable practice to start with Scripture when trying to understand our world and universe. The reality is there is still so much we don’t understand. But we can trust God. After all, He is the One who created it all to begin with. He encourages us to ‘Trust in the Lord with all your heart, And lean not on your own understanding; In all your ways acknowledge Him, And He shall direct your paths’ (Proverbs 3:5–6). Figure 1. Conventional point-like particles as compared to the theory that subatomic particles exist as closed strings. Left picture shows the merging of two point like particles, where the right picture shows two loops merging to form a single loop particle. Classical physics treats particles basically as zero-dimensional point-like objects, and quantum mechanics recognizes that they can also behave in wave-like fashion. But completely distinct from this physics, string theory proposes that they may instead exist as one-dimensional loops or ‘strings’ (see figure 1) that cut across or exist in nine spatial (and one time) dimensions compared to the three spatial (and one time) dimensions we understand and use in relativity theory.1 Some suggest that these strings exist as higher dimensional objects called branes (membrane-like structures) that act like vibrating flat sheets or tubes etc.2 These ideas can even be extended to support the idea of multi-universes coexisting with our own, and that our own universe (the big bang) was the result of the collision of two of these branes in some higher-dimensional hyperspace. The goal is to get the universe to create itself—that way, no first cause would be needed, hence no God. Supersymmetric version of string theory adds another dimension, i.e. totalling 11 and then other modifications require as many as 26 dimensions. 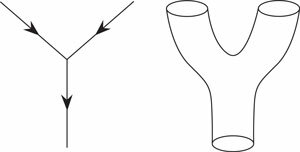 M-theory extends the strings to branes. Update: see response to a questioner about this article, String theory ‘philosophy’ challenged, 13 June 2009. 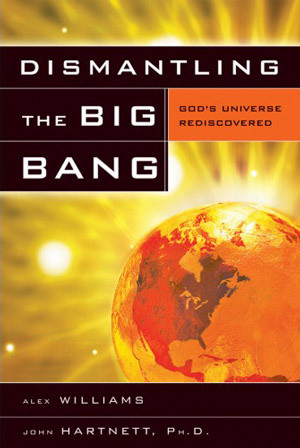 An Open Letter to the Scientific Community (published in New Scientist 22 May 2004), 21 February 2007; see CMI commentary, Wieland, C., Secular scientists blast the big bang: What now for naïve apologetics? Creation 27(2):23–25, 2005; creation.com/bigbangblast. Return to text. Latin meaning ‘out of nothing’. Return to text. Creationists and most evolutionary cosmogonists agree that the universe had a beginning. Return to text. Sarfati, J., Refuting Compromise, Master Books, Green Forest, USA, p. 179, 2004; If God created the universe, then who created God? 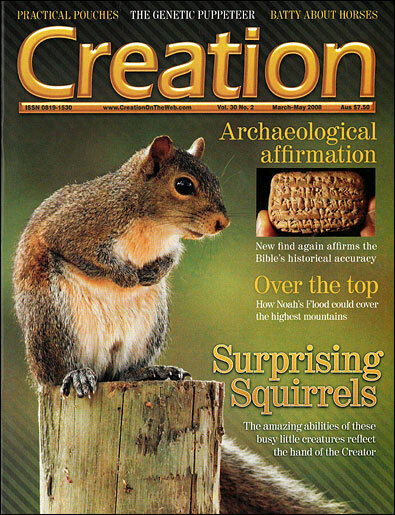 Journal of Creation 12(1):20–22, 1998, creation.com/whomadeGod. Return to text. See Hartnett, J., Has ‘dark matter’ really been proven? Clarifying the clamour of claims from colliding clusters, creation.com/collide, 8 September 2006. Return to text. The last word, ‘Strings and M-theory are based on little more than fancy maths and a grab-bag of ideas’, BBC Focus, p. 98, May 2006. Return to text. For a thorough refutation of Hugh Ross’s theological and scientific claims, read Refuting Compromise by Jonathan Sarfati, and for a refutation of big bang teaching, see Dismantling the Big Bang by Alexander Williams and John Hartnett (both available from CMI). Return to text. See also Grigg, R., The Gospel in time and space, Creation 21(2):50–53, 1999. Also creation.com/timespace. Return to text. Logically, God must exist outside of our spacetime because He created it in the first place. However, He also interacts in our own spacetime dimension. Return to text. Even self-described Ross supporter, the philosopher/apologist William Lane Craig, has severely criticised Ross’s teachings on this: ‘ … I find his attempt to construe God as existing in hyperdimensions of time and space and to interpret Christian doctrines in that light to be both philosophically and theologically unacceptable,’ Hugh Ross’ extra-dimensional deity: a review article, J. Evang. Theol. Soc. 42(2):293–304, 1999. Return to text.